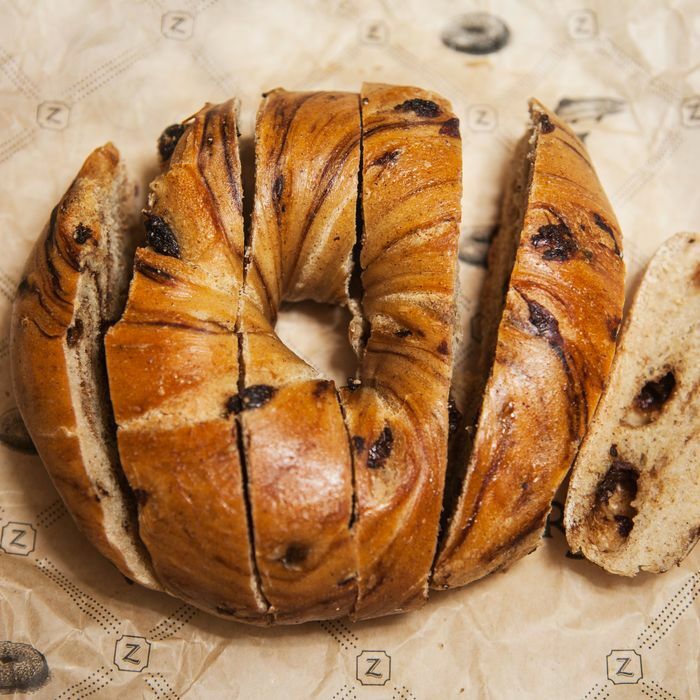 Are ‘Bread-Sliced’ Bagels Really Better? When the internet learned of “bread-sliced” bagels — supposedly a “St. Louis secret” — the reaction was swift, definitive, and overwhelming: NO THANKS. Bagels, when sliced horizontally, are fine just as they are, the world decided, and these vertical cuts, breaking individual bagels up into dozens of slices, were just too far beyond the pale. Or were they? As I thought back on those bagel slices early this morning, it occurred to me that the internet hive mind has been wrong before, and perhaps it was wrong this time, too. So, with a sense of purpose that I rarely feel when deciding what to eat for breakfast, I went out in search of my own bread-sliced bagels to give them a shot — the only question was, would some of downtown New York’s finest bagel shops even be willing to sell me bagels cut into individual slices? I wasn’t sure what to expect, but I knew that the term “bread-sliced” wouldn’t carry much weight, even among the city’s bagel experts, so I made sure to load the viral photo onto my phone, allowing me to retrieve it easily, should it be necessary. This, it turned out, was a good move. “You mean sliced in half?” he asked. No, I said, as kindly as possible, and showed him the photo. His confusion quickly turned to contempt, but he nevertheless obliged. When I asked if he saw a lot of people ordering bagels in this style, he did not answer — he only laughed. Newly emboldened, I decided to next try my luck at Baz Bagel & Restaurant in Nolita. As I explained what I meant by “bread-sliced,” the cashier looked incredulous. “We can do it this time,” he said, ominously, “but we won’t be able to do it if you come back and there’s a line.” This reasoning struck me as tough but fair. At this point, a couple of onlookers chuckled. Next, I decided to see if the traditionalists at Murray’s Bagels in Chelsea would even consider my order. This is, after all, the shop that only recently began kowtowing to customer requests for toasted bagels. Much to my surprise, after the cashier saw the photo, he agreed, adding that — in all of his time working at Murray’s — he had never seen anyone order a bagel this way. A new experience for both of us, then! He relayed the order to another employee, telling him to “slice it like bread” while pantomiming vertical shavings. Alas, either something got lost in translation or the bagel expert at Murray’s does not slice loaves of bread like the rest of us. What I got was an everything bagel cut into three horizontal slices. This was not the intended goal, but it also wasn’t bad. Had I been looking to make a lox-filled club sandwich, this might have been perfect. In the end, though, I think my days of ordering bread-sliced bagels are over: While the extremely hospitable folks who work at New York’s bagel shops seemed more or less willing to oblige, they weren’t exactly happy about it, and, after trying a few errant slices of bagel throughout the morning, I realized how time-consuming it would be to have to spread cream cheese on every single one, too.